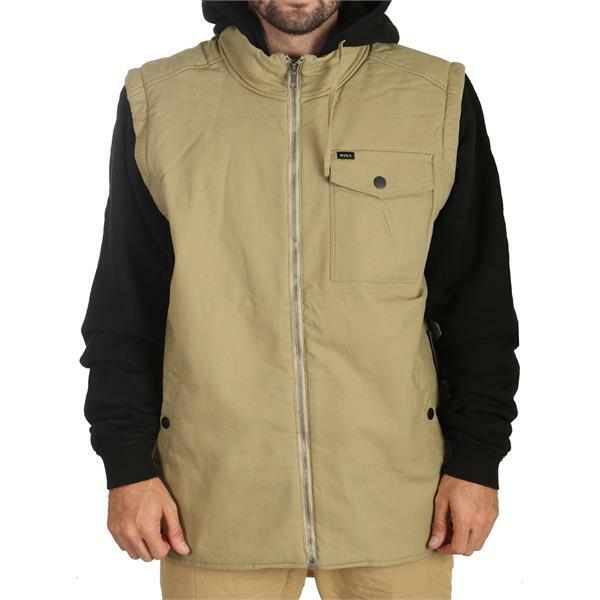 The RVCA Breaker Breaker Puff Jacket is a regular fit, canvas jacket with French terry fleece at the sleeves and hood. 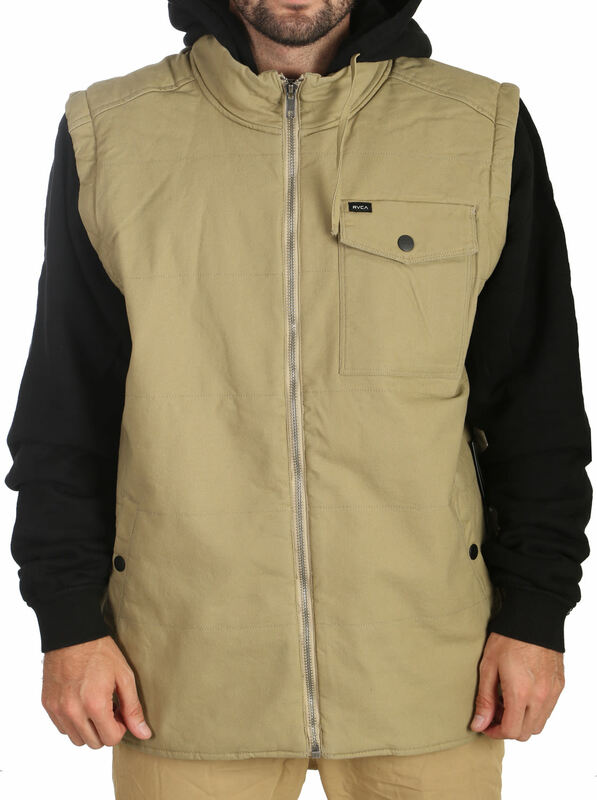 Featuring all the warmth you will need in the spring and fall, this jacket is a steal. 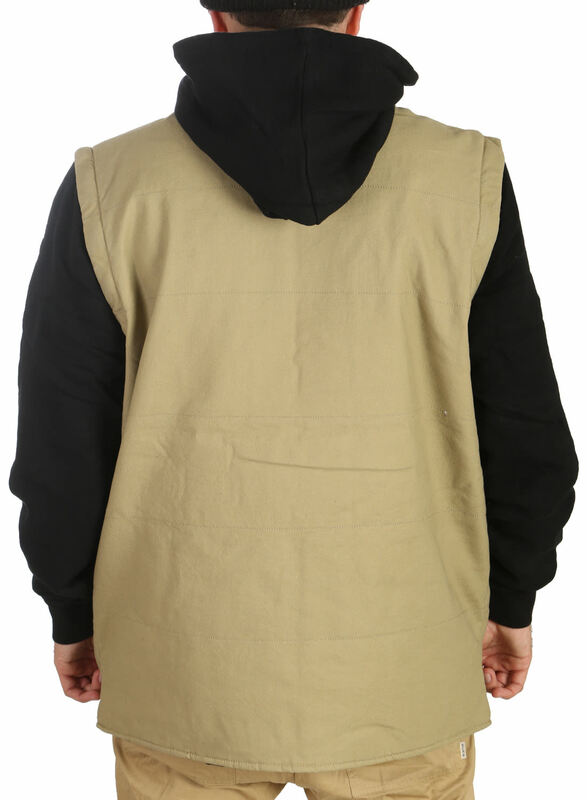 It is a two-in-one jacket that features a detachable hood and sleeves to create a lightweight vest for use in slightly warmer conditions or when you feel like making your own fashion statement. 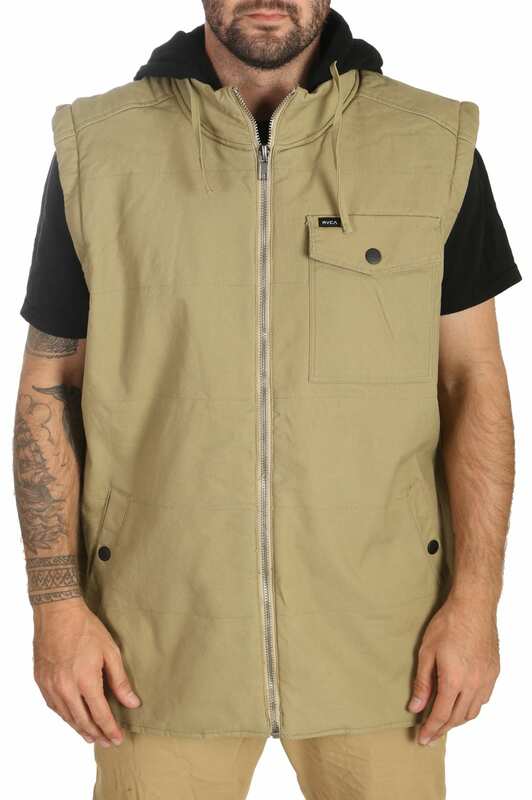 The two hand pockets and chest pockets are plenty of space to hold your essentials as you go around breaking hearts in your Breaker Breaker Puff Jacket.